Replace your damaged engine by a Citroën used engine. Your Citroen C1, C2, C3, C3 Picasso, C4, C4 Picasso, C4 Cactus, C4 Aircross, C5, C6, C8, DS3, DS4, DS5 or one of the Picasso modells, and your AX, Saxo, ZX, Xsara, Xantia or XM as well will last a long time again when an used Citroën engine is installed. The same goes for the Citroën vans, we stock Citroen used engines for the Nemo, Berlingo, Jumpy - Dispatch or Jumper - Relay vans as well. Engine damage remains a costly repair, but we can provide an affordable alternative to keep your motor running. Our used Citroen engines come with different mileages, of course with prices to match. Just take a look in our online warehouse to see what's in stock for yourself. Or send us a part request to find out all info regarding the particular Citroën motor you are looking for. Our salesteam is well trained to work out what engine is suitable for your car and will take you through the process of getting it over to your location! cleaned before mounting on the ‘new’ engine. 2. New oil and oil filter, air filter, spark plugs (petrol engines), fuel filters and thermostat replaced. Check the engine for extra (often well hidden) oil filters like a gauze or sieve. 3. Timing belt tensioners checked, belt and v-belt replaced following manufacturers instructions. 4. It is recommended that diesel engines have their glow plugs tested and replaced ideally in sets. 5. All oil seals should be checked and replaced as required. 6. If the previous engine failed due to overheating the cause must be found and the radiator should be pressure and flow tested to ensure that it was not the cause. 7. Coolant hoses checked and replaced as required. 8. Use starter motor to build up oil pressure before you start the engine! 9. The cooling system must be refilled with new antifreeze mix and be bled as per manufacturers recommendations. Incorrect bleeding of the system can cause an air lock and subsequent overheating resulting in engine damage, this damage will not be covered by the warranty. If there are any problems after carefully following all the steps above, please contact our company. We can ship a second hand Citroen engine worldwide. By sending us a part request our salesmen will use their technical knowledge making sure you receive the right engine as easy as possible. We use proper packaging material and our knowledge to enable safe transportation. Transportation is taken care of by experienced, automotive shipping companies. 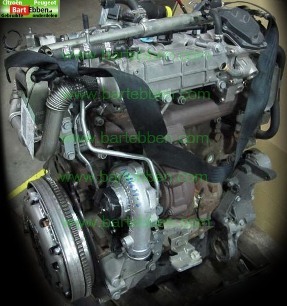 We also stock Peugeot used engines.